In a struggling economy, fewer drivers carry adequate insurance to cover car accident damages. Accident victims can face the challenge of the at-fault driver being an uninsured or underinsured motorist. If you find yourself in this situation, the Law Firm of Jonathan D. Light, P.C. has extensive experience dealing with these types of situations. Most insurance companies offer the option of uninsured and underinsured motorist coverage. Such coverage means that the policyholder’s insurance company covers damages when its insured is in a car accident caused by an uninsured or underinsured motorist. When the at fault motorist is uninsured, you collect compensation from your own insurance company up to the amount of your uninsured coverage. Likewise, in the event of an under insured at fault driver, you collect the maximum amount of coverage from the insurance policy covering the at fault party and then turn to your own insurance company to cover the remaining unpaid damages. When dealing with uninsured and underinsured motorist coverage, you find yourself in a similar position to fighting with an at-fault driver’s insurance company. Insurance companies typically try to avoid or minimize its payments on personal injury claims. Consequently, it is vital to have an experienced personal injury attorney to negotiate with or arbitrate against the insurance company to receive a fair and just settlement or award. All Massachusetts automobile insurance policies require contested uninsured and underinsured claims to be submitted to binding arbitration. Unfortunately, your own insurance company may aggressively defend against your uninsured or underinsured claim and attempt to prove that you were at fault or partially at fault as a tactic to eliminate or reduce their payout. In Massachusetts, parties who are more than 50 percent at fault for causing an accident lose their right to compensation for damages. Also, courts, arbitrators and insurance companies reduce the amount of recoverable compensation by the party’s percentage of fault. Having a skilled attorney at your side, like Jonathan Light, can protect your rights, present convincing evidence of the other driver’s fault and hold the insurance company accountable for making good on its insurance coverage. At the Law Firm of Jonathan Light, P.C., you find reliable representation you can count on. 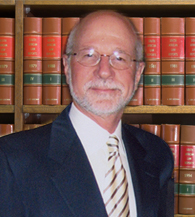 He is a seasoned Boston accident lawyer who has compassion for your situation and your best interests at heart. Call 617-245-0220 or contact the Law Firm of Jonathan D. Light, P.C. online to schedule your free initial consultation.